Cufflinks “Vrubel’s Legacy”. Lobortas Classic Jewelry House. 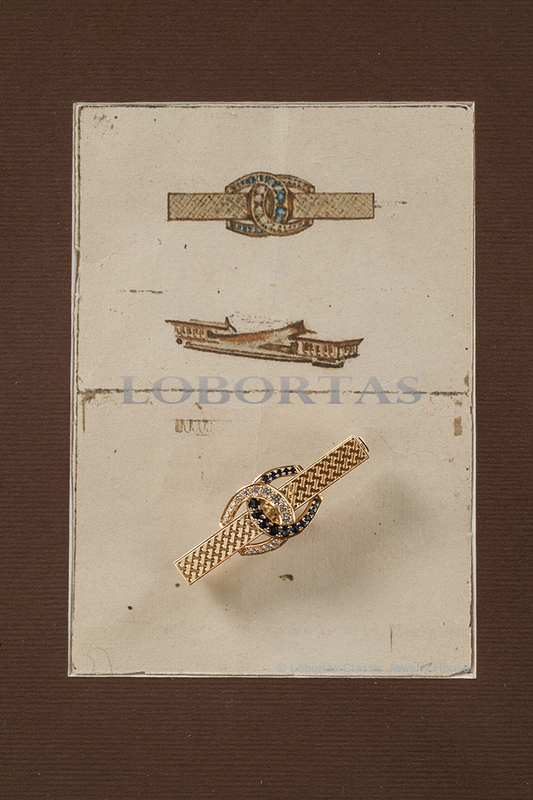 A unique piece of the “Vrubel’s Cycle” from the masters of the House “Lobortas” solves one of the famous artist’s riddles, who once touched the jewelry theme, having made the only known today jewelry sketch – the brooch sketch with two inverted horseshoes. The fact to whom it was dedicated and for whom it was intended to be crafted has still remained the secret, however, the creativity and the symbols of the piece, its elegant fragility and artistic allusions were perfectly transferred and converted by the artisans. The motives of the crossover lines of the cufflink engraving, crossed (for double luck!) horseshoes, filigree accuracy of the techniques, a refined combination of the elegant gold and bright purity of diamonds, blueness of elite sapphires – all this ranks the decoration with the best samples of the world art. The designers are interested in not only the repeating of imagery and refinement of Vrubel’s scene, but also in finding their own language, their means of conveying, their shades. In fact, this piece’s content has its deep meaning: the harmony of stones and emotional attitude to the traditional techniques and the admiration of the Vrubel’s artistic poetry, transferred onto the precious cloth of jewelry narration.